Find regular items on sale at a reduced price for a temporary amount of time, take advantage of these sales as they change on a regular basis. 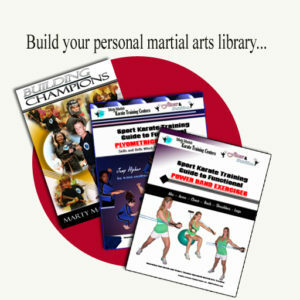 It’s your chance to build you personal martial arts reference martial library at a special price. Learn how to increase your fast twitch muscle fiber strength with Coach Martin’s power band exercises. Personally used by Coach Martin’s students and competitive athletes add this e-book to your personal martial arts library.